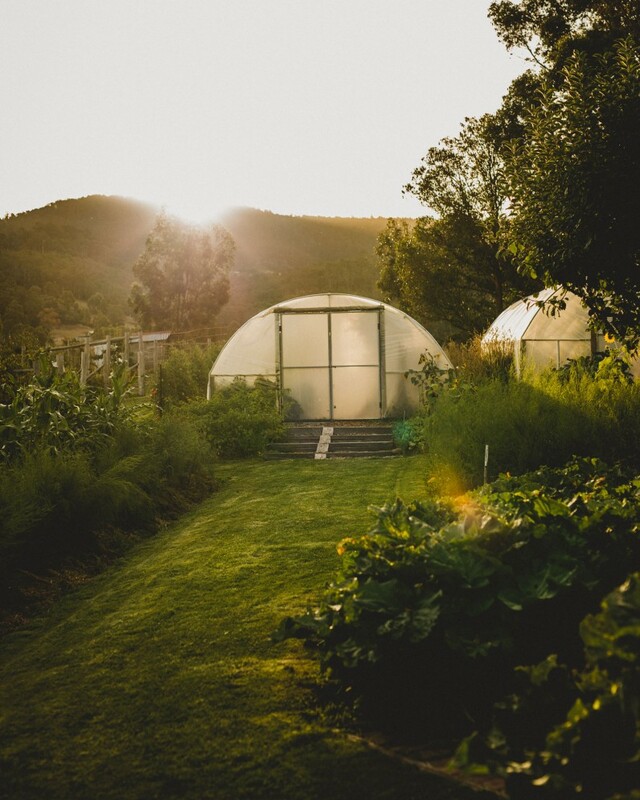 What would it take for you to pack up a city-life and move to rural Tasmania to start a farm and cooking school? Rodney Dunn knows the answer to that, because it’s just what he and his wife Severine did back in 2007. The following year the couple opened the doors to The Agrarian Kitchen and it’s been non-stop ever since. With a background as a chef and food writer, Rodney is expertly placed to welcome people into his kitchen and share his acquired knowledge about grassroots food production and cooking. We’re lucky to have his insights on everything from the perfect peach to hard work and patience this month, too! Please tell us about about yourself and what you do. Food is my life: it’s my work and my hobby. I began my working life doing a chef apprenticeship in Griffith in the NSW Riverina, then moved to Sydney in 1997 to work at Tetsuya’s restaurant. A few years after completing my apprenticeship I began working freelance in food media, cooking for magazine photoshoots and on TV programs. In 2004, I went to work at Australian Gourmet Traveller magazine as a Food Editor and it was here that my interest in growing my own food developed. After being frustrated by the lack of growing options on our small Sydney balcony we decided that a move to Tasmania would be required in order to pursue my dreams and thus the idea of a paddock to plate cooking school was born. 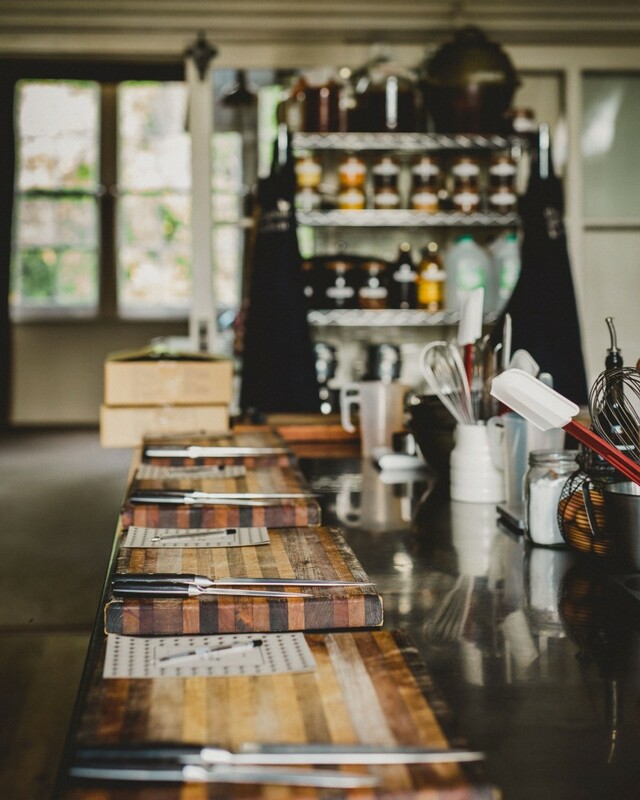 In 2007, we moved to Tasmania and set about creating The Agrarian Kitchen in an 1887 built schoolhouse surrounded by five acres of land. I am lucky enough to indulge my passion for food at the very beginning of the food chain, growing our own fruit and vegetables, milking our goats, raising animals for our own meat and keeping bees for honey and chickens for eggs. The most satisfying part of it all is sharing the process with other people attending classes, cooking together and educating guests about cooking and food production. I love being inspired and in turn inspiring others. To me being a man is about taking responsibility for your life, to be confident to make decisions and stand by your actions. To be fair and trustworthy and stand by your word. To be a good friend, husband and father. What has been your most significant personal achievement? After producing my two beautiful children I would have to say setting up and running the Agrarian Kitchen. We always joke that it’s our middle child, given the six-year gap between our son, Tristan and daughter, Chloe. Tristan was born in Sydney and we moved down to Tasmania to start the kitchen when he was just 4-months-old. Procrastination, I am always putting off important things to the last minute, when I probably should have tackled them sooner. What do you regard as man’s worst habit? Selfishness, it can be very easy to view the world introspectively and not try to understand other people’s perspective. Which female in history or the present day do you admire and why? My wife, Severine. Firstly, she has to put up with me… Secondly, she manages running a very demanding business while raising a family. If you were a plant, what would you be, and why? A pear tree, very long lived, up to 200 years and at the end the wood makes beautiful furniture. No, that is a myth perpetrated by women to make men think they are in charge, just to keep us happy. What is one piece of wisdom (a saying, a philosophy for life, etc.) that you learnt from your dad/grandfather? To work hard. My dad was never afraid of hard work and it is his work ethic that I’m thankful he passed onto me. What is one characteristic or trait that you inherited from your mum/grandmother? My mum has a certain look that she would give me and my brothers when we were misbehaving when out, and we knew we were in trouble. Apparently, I give the same look to my kids. If you had to make a garden with 3 plants, what would they be and why have you chosen each of them? Asparagus: A plant that once established keeps on giving, if looked after properly they have a 100-year life span and they produce food very early in spring when there is not much else. Raspberries: Raspberries grow like weeds in our climate and a sun-warmed raspberry is as good as fruit gets and the fruit freezes very well. Peach: A peach is my favourite fruit, the texture and sweet flesh of a perfect peach is something to behold. A perfect peach should be so juicy you can’t eat it without it ending up all over your clothes. What do you love most about women? Books, I adore books, I have around 800 cookbooks and there is a joke in our family that in the case of a fire I would be loading them into the car first. Something creative, I have immense respect for anybody who constantly works at honing a craft, whether it be working with wood, stone, metal or ceramics. I think it is very satisfying and innately human to create useful objects. What’s one lesson you’ve learnt from the plant kingdom? Patience. Plants grow in their own time and should for some reason a crop not come to fruition then it is a whole year before the opportunity comes again to grow the vegetable again. 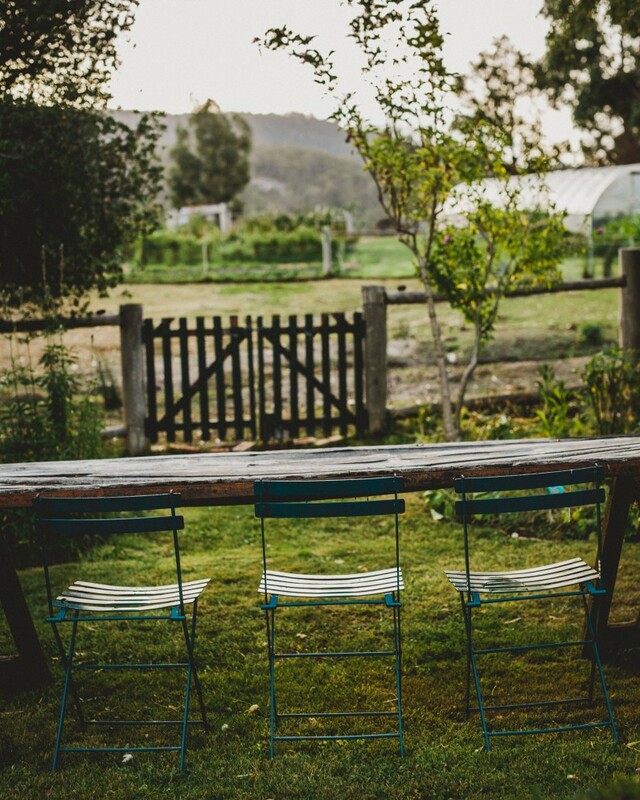 Rodney Dunn and his wife, Séverine Demanet, are founders of the Agrarian Kitchen cooking school in Tasmania. You can learn more on their website and follow along on Facebook, Instagram and Twitter. All images in this story are by photographer Adam Gibson. Pick the odd one out: General MacArthur roses, Al Capone, maximum security prison.